Kameoka projects – tsunami for you! | Bartok design Co. Kameoka projects – tsunami for you! – Bartok design Co.
Kameoka projects – tsunami for you! I am dying to to ask you an opinion! Do you think I should become the curator or Rica should? A foreigner living in Japan (A1) or a charismatic and charming international minded Japanese lady(A2)? Or, if you can bear with me 5 minutes, lets proceed with order. In the internet and SNS world it is recommendable to release news slowly, to create constant and recurring waves of interest towards your projects or products. But I did not follow the orthodox practice this time. This post in not just a wave. I think it will hit you like a tsunami…! Well, everything starts from a party organized by a group of italian expats in Osaka. 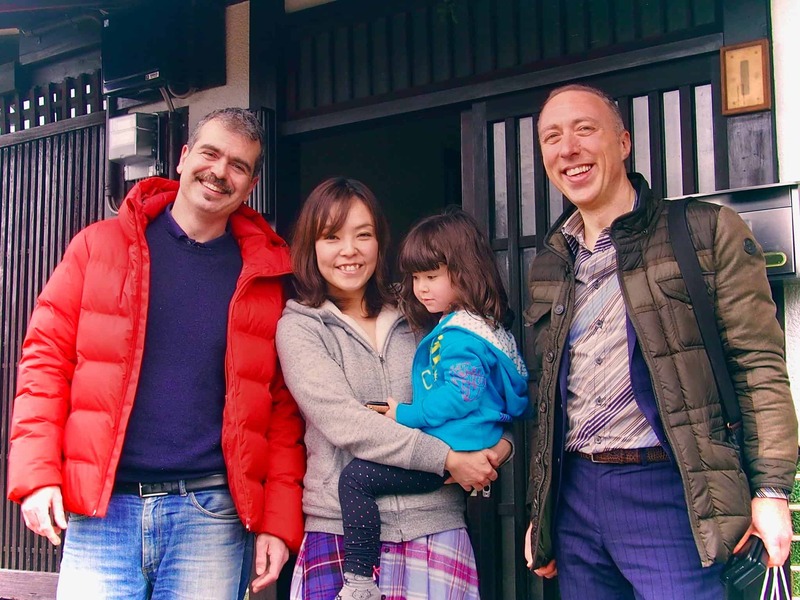 I met Christian there: a Florentine nice guy with a beard who bought and renovated an old Japanese house in Kameoka (near Kyoto) and just starting to run it as an air bnb. Two days later, a friend real estate agent in Kobe (Rica Bradshaw) calls me saying she wants to introduce me another real estate agent. They are coming to my office few days later. Can you imagine my surprise when the guy she introduces me … is actually operating in Kameoka and salvaging old houses? !! Too many coincidences to ignore it ! We plan immediately to visit his projects as well as the recently met new friend Christian. Here below are 3 videos we assembled with the photos and talks we had that day. The first is a general overview of Kameoka territory and some examples of houses being renovated or on sale. The video ends at the Nakagawa Juken model house where Mr. Nakagawa produces events (like concerts or BBQ parties) and makes it possible for curious urban dwellers to sleep one night in a ko-minka country house. The second video is the visit to Bishamon House (managed by Christian Cambi) and short interview. The third video is the interview with Mr. Nakagawa (the local real Estate agent Nakagawa Juken). Doesn`t it look like a tsunami? Mr. Nakagawa`s ideas are complementary to my worries and tentative solutions. Do you remember in the end of the year newsletter I was planning to take action to create opportunities for young people to learn the woodworking crafts from the aging masters in order to preserve the secrets of ofuro bathtubs manufacture for the next generations? Well, I cannot help seeing a divine hand staging my encounter with Mr. Nakagawa. What is most amazing is that he has the same anguish (many old buildings to renovate and not enough skilled workers). But he is a practical thinker and already come up with the solution. He wants to open an “Academy” where youngsters interested in traditional crafts can learn from the masters. within the “Kameoka Traditional Crafts Academy”. 1) length of course of 1 month, 3 months, more. 2) tuition is about 3000 USD for the first month, proportionally less for longer stays. 3) there is a chance for students to work in the current projects and earn credits that can be used towards room and board, purchase tools etc. Q: who should be the director/curator of the Academy? A1: Some people are suggesting I should be. I would not be involved in the day to day management of the courses but would have a position of supervision and interpreting the wishes/distress of the foreign students and develop the courses based on the actual needs. I am honored to be appointed for this position, but believe that a Japanese curator would be more appealing for the foreign students. 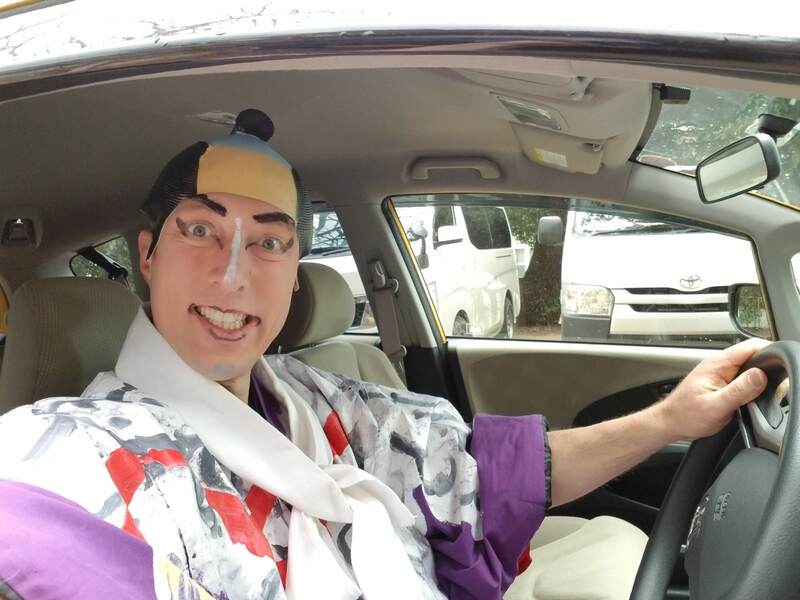 A2:I think that people coming from the other side of the world to learn traditional Japanese crafts in an authentic environment may prefer that a Japanese person. Rica (who is translating Mr. Nakagawa`s interview in the 3rd video) is my candidate. What would you prefer? A1 or A2? Other ideas/comments? Please let me know. Please reply by email to japan@bartokdesign.com or comment here below. I am looking forward to brainstorming with all the community of Japan lovers and thank you in advance for the kind help! I am here literally crying like a baby, on my keyboard reading all the emails that have been coming in from all of you! It is so rewarding, moving, exhilarating to receive such honest, wise, caring advice. In this moments of sharing and receiving feedback I really feel grateful and blessed. It is like belonging to a large family: next time people ask me, I will tell them my family is made of 1600 people! 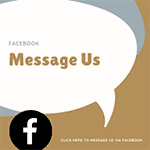 I will add yours as well – omitting the private information – so please feel free to contact me by email anytime.